In this day and age, it seems we have “a day” for everything and translation is no exception. We will be celebrating “International Translation Day” on September 30, 2014. Around the world, many associations host events to celebrate the day. In Quebec, OTTIAQ is hosting events in various locations: Montreal, Quebec City, Sherbrooke, and Gatineau. Translation was created alongside the writing systems and, needless to say, it evolved over thousands of years. Each of the many schools of thoughts on translation had its fifteen minutes of fame at one point or another of our history and the popularity of the trade varied over centuries. One thing for sure, the translator’s tools have immensely evolved with the creation of the Internet. Considering I easily spend one third of my translation time doing all kinds of research, I dare not image how much time these research would have taken before the creation of this tool we now take for granted. Nowadays, answers to my queries are usually only a few clicks away. Back then, I would have had to go to the local library or the university library and comb through numerous specialized books. 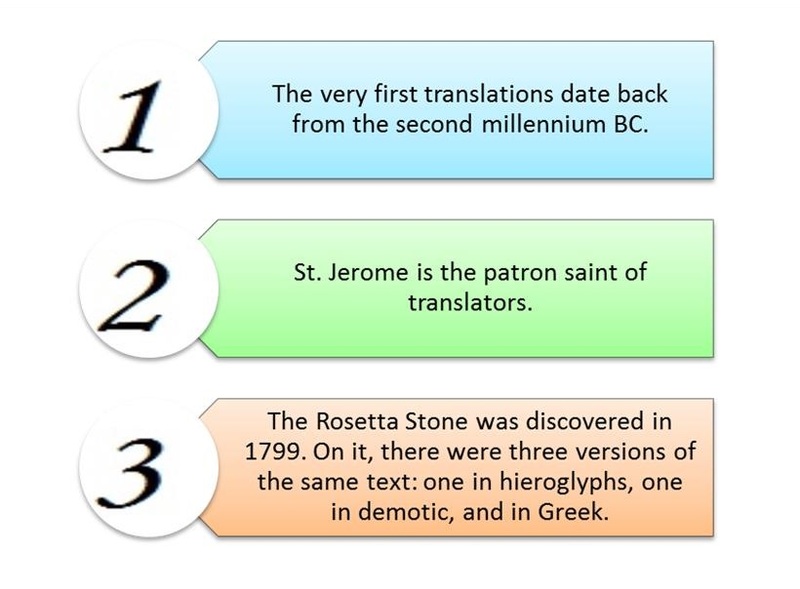 On September 30th, out of sheer curiosity, visit the following page on the history of translation.